Note: Before you dive in, I want to be transparent with you that some links below are affiliate links. That means if you purchase an item through my link, I will earn a commission. You won’t be charged any extra money. In fact, you may even get discount deals through my links. So, if you believe in my work and want to support me, I’d appreciate you using my links. I only promote products I trust. Enjoy! Evernote is my go-to note-taking app. I use it to capture my fleeting thoughts, keep personal documents, and write notes from books or courses. The best part is that even when I write notes on paper, I can scan the page from Evernote mobile app and the text magically becomes searchable! That means when I search Evernote, it also detects and searches through my written notes. 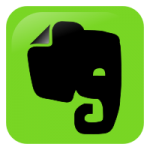 Evernote is a lifesaver. 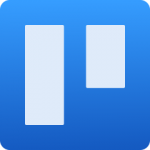 Whether you work in a team or have personal projects (or goals), Trello is one of the best tools for organizing, managing and getting things done. It requires zero skills to get started and is utterly easy to use. I manage all my ‘Design Epic Life’ related work through Trello. 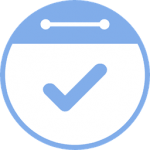 Another option for organizing projects or life (which I also love) is Nozbe. It has a different style, so it really comes down to your preference. 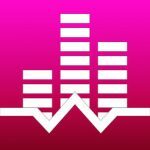 I’d recommend you try it for free and stick with the one you understand and like better than other apps. 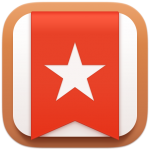 Wunderlist is an amazing easy-to-use task listing app. While I use Trello to manage the big picture of ‘Design Epic Life’, I use Wunderlist to manage tasks at hand. I could use just one app if I wanted to but two separate apps keep tasks clear and tidy (plus it keeps me sane). Plan is your all-in-one solution where your calendar meets your tasks, making it easier for you to get things done while keeping the big picture in mind. It allows you to create lists, manage calendar, collaborate, create a timeline, and much more. Slack is the ultimate tool for team collaboration and chat. Got a team project? Use slack (not Facebook Messenger or any casual chatting app out there – please!). It keeps conversations organized and provides easy file sharing features. 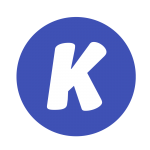 It’s continuously evolving with apps and bots so hop on! 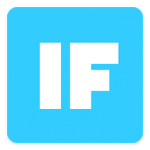 IFTTT (If This Then That) puts your work and life on autopilot. It gives you tons of options to connect your apps and devices. 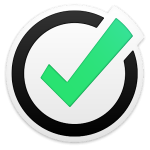 If you’re tired of doing small tasks that take up all your energy, this tool is a life-saver! 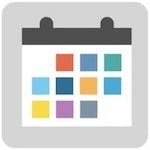 Workflowy lets you organize your thoughts. It’s best for breaking down big ideas into small chunks so you can focus on one at a time instead of feeling overwhelmed. I use it to structure my blog posts before writing them. You can use it for pretty much anything that requires thinking. 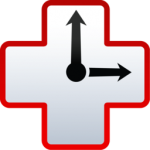 The free version of Rescue Time lets you track how you spend your time on the internet and gives you detailed report which you can use for self-evaluation. On upgrading, you can also set ‘focus time’ to block distracting websites. It runs on every device except iOS. If you struggle with focus, try the Pomodoro technique with the Tomighty app. Here’s the gist of Pomodoro: When you have a big task or series of tasks, break the work down into short, timed intervals (called “Pomodoros”) that are spaced out by short breaks. If you’re a student, an entrepreneur, a programmer or a creative person; you must give [email protected] a try. They have the best sounds and music to help you become productive and have a laser-sharp focus at your will. Tune in and get things done whenever and wherever you want. 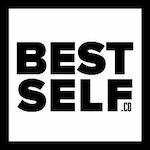 Best Self is the place to shop for journals, planners and other goodies that will help you achieve more and stay focused. Some of the products include SELF Journal, Weekly Action Pad, Mega Calendar, Decision Deck, and much more. 50 bestselling experts reveal their best strategies for getting things done and achieving peak performance. You can attend the online summit for free and get peak performance playbook as a bonus when you register for the event. If you work on a computer, you NEED this. The blue light that comes out from the screen not only harms your vision, it also interrupts your circadian rhythm which gives rise to sleep problems. Then, sleep problems give rise to chronic diseases you want to stay miles away from. So trust me on this and get IRIS or f.lux and Twilight (android). 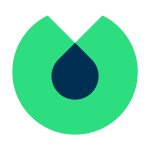 Insight is a super simple meditation app. You can do timed or guided meditation and connect with people – all for free. 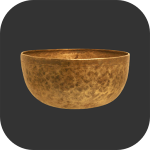 I have tried so many meditation apps out there but there is no magic bullet. Just breathe and observe or guide your thinking. While there are a lot of calorie-tracking apps out there, Cronometer is by far my favorite one. 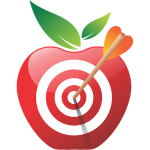 Besides tracking your macronutrient profile, it gives you details about micronutrients so you can find out if you’re eating a nutrient-rich diet. You may be surprised to find out the deficiencies you can fix. If you do strength training (and you should because of its tremendous benefits) track your workouts using the Strong app. It makes it easy to see progress and keep a workout log you can easily access. If you’re like me, you stare at screens a lot. I used to get headaches and dry eyes before I got the Gamma Ray anti-glare glasses. 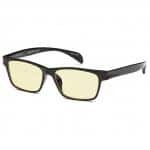 They protect your eyes from digital eye strain and keep them fresh and healthy. Don’t ignore your eye health. Get these glasses ASAP. If there’s one ‘life hack’ that you’re looking for then it’s getting better sleep. Your body recovers during sleep and it’s crucial to get a good sleep for high performance and focus. 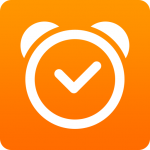 Use Sleep Cycle to track your sleep so you can work on improving it. I’ve noticed that my deep sleep (which is crucial for recovery) has improved in the past few months. Have you ever wondered why the noise of a fan makes you sleep faster and better? White Noise app lets you play music that helps you get better sleep. It has a lot of options including rain sound, fan sound, nature sounds, white noise, pink noise, and many more. Just as it is important to block outside noises while sleeping, it’s equally important to block light. Ideally, you want to sleep in pitch black darkness for optimal sleep. A good quality sleep mask can help you with that. 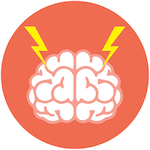 Skillshare is an online course platform where you’ll find courses on almost any skill. It covers courses on creativity, business, lifestyle, and technology so no matter what new skill you want to learn, Skillshare got you covered. Through my link, you get 2 months of Skillshare premium for free. Going to a college just for education is a thing of a past. 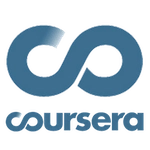 Coursera has 1600+ online courses from top universities and companies that you can take from home. It will not only help you transform your career and master skills, but it will also give a degree upon completion. 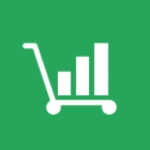 Udemy is like a flea market of online courses. You get amazing courses at extremely low prices on wide range of topics. Choose what you want to learn, pick the courses you like and add them to your cart. Once you make the purchase, the courses are yours to keep for the lifetime. 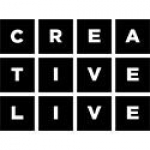 CreativeLive is the place where experts give live classes on life, money, business, and all kinds of creative skills. You can watch classes airing live 24/7 for FREE. OR you can access them anytime if you buy a class. OR you can get a creator pass to access all classes anytime! Programming and business skills are the top skills the industry needs these days. You don’t have to spend years in college to have a thriving career when you can learn these demanding skills in one month. You know how crucial it is to read books. But the problem is that you may not have time to read books in your busy life. That’s where audible comes in where you can listen to audiobooks while commuting, cleaning, eating, cooking, walking, or doing any passive activity. Get a free month and two free audiobooks of your choice at Audible. Physical books occupy a lot of space and weight. I love reading physical books but I don’t always buy them because there’s just so many books out there. 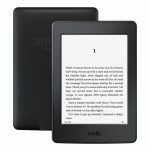 The solution is to get a Kindle Paperwhite that is like your personal library without the hassle of owning physical books. I love that the Kindle’s screen has no glare, so it acts like paper. I love and hate Pocket. I love it because it lets me save articles to read later. I hate it because it becomes easy for me to procrastinate on reading articles (which I may never come back to). So, I try to be mindful of that. 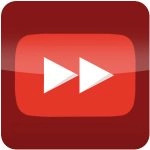 While you can control the speed of YouTube videos, you can’t always speed up all the videos on web. It’s annoying because you have less time and you want to watch the videos faster. With Video Speed Controller Chrome extension, it’s no longer a problem. If you’re like me, you spend a lot of time in front of a computer. While I love reading articles, sometimes, it’s just too much for my eyes to stare at the screen. Then, I use TTS Reader to listen to the articles. You can also use it to “speed read” articles as two inputs (reading and listening) enhances your focus and reading speed. If you read PDF files, then Kami Chrome extension is for you. It lets you highlight and write notes on PDF so you can read the documents, take notes, and save them. Plus, it works great with Google Drive. 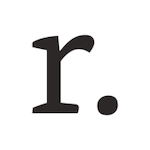 If you want to save all your highlights from ebooks and articles you read, Readwise is the #1 tool to revisit your highlights in one place so you don’t have to go through each book or article separately. You can tag, search, organize and make notes so you can remember what you read. You love reading blogs but how do you stay in touch with so many amazing blogs without subscribing to all of them? 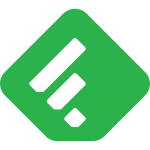 Feedly is the answer where you can subscribe to blog feeds, so every time you open the app, you’ll get a rundown of the latest updates from your favorite blogs. 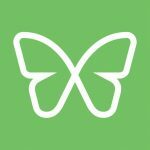 Blinkist is my number one resource for reading or listening to book summaries. It’s impossible to read every good book. So, the best way to accelerate your learning is to consume the biggest ideas from the books in in-depth book summaries. 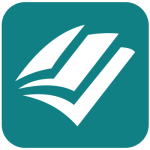 The best part – they provide one book summary daily for free! Alternatives: 12min, getabstract, readingraphics, flashnotes and habitcoach. 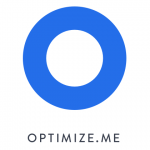 If you want to get the best learning experience from the best books, then look no further than Optimize.me. 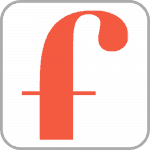 Brian (Founder) does the best job at providing you materials like master classes, wisdom packs, philosopher’s notes (notes from books), +1s (short daily videos) so you can achieve mastery and optimize yourself. If you’re a lifelong learner like me, you need to learn how to learn so you can 3X your learning speed and comprehend more than ever before. This course has saved me loads of time and made me SuperLearner! I even got a SuperLearner certificate upon completion. 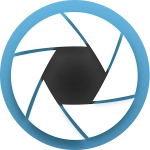 Check out SuperLearner Academy and get 4 videos for free! WordPress.org is the best platform if you want to have complete control over your website. You don’t need to learn how to program. The platform has tons of plugins which will help you customize your blog or website the way you want. If you chose WordPress as your platform, you need a reliable hosting. When I started my website, I deeply researched different hostings out there. Finally, I went with SiteGround and I don’t regret it at all. It’s cheap, it’s fast, and it’s safe. And their customer support is remarkable. I’ve never rated their customer service below 5 stars. Next, you’d need a good-looking, fast and reliable theme for your website. Elegant Themes has a tons of options for you to pick the one you like the most. Your website deserves to look clean, beautiful and simple. Normally, you’d need technical knowledge to further customize your WordPress site, or you’d settle with rules set by your theme creator. 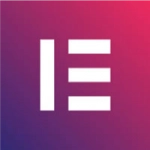 But now, you have the freedom to customize your website the way you want with Elementor page builder. You can just drag and drop and come up with a unique style for your website. Next, you need a way to build your email list. If you’re just getting started, you don’t need to pay a huge amount of money to more advanced email marketing software. 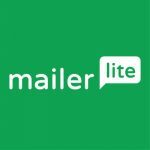 Like me, you can start with MailerLite which is affordable and comes with all the features you may need at the beginning. If you’re starting a business and want an easy-to-use and high-quality landing page builder, then LeadPages is the tool you need. 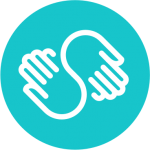 It’s super simple to use and integrates well with other services. Clickfunnels is the best option to easily build sales funnels. With Clickfunnels, you can even create your website and courses. So, if you’re looking to invest a trusted software, go with this all-in-one solution. Wix is a simple website builder that is especially used by people who want to build their portfolio online. 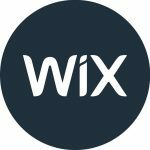 So if you’re a professional or a creative who don’t want the hassle of dealing with hosting, then use Wix to drag-and-drop or use AI to build your website in no time. 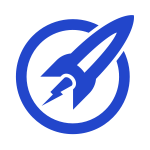 If you use WordPress and want a cheap solution for building landing pages, sales pages or a membership platform, OptimizePress is an amazing solution with no monthly fees. Accepting payments online can be a pain when you have to pay additional monthly costs and transaction fees. ThriveCart solves that problem as they’re offering a lifetime access to their platform for a flat fees (for a limited time). Social media can be the biggest source of stress and overwhelm when you’re running a blog or building a brand. With Crowdfire, you can curate content, schedule posts, track conversations and measure performance from a single dashboard. When I write, I make terrible grammar mistakes because I don’t want to break the flow of my writing by caring about grammar at the same time. Thankfully, I use Grammarly to edit my writing before you read my stuff. It saves me every time. ProWritingAid is another lifesaver if you write anything. Whether you write a casual blog or professional academic papers, ProWritingAid gives you customized suggestions to improve your writing. 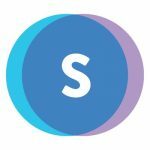 If you want to design images or presentations like a pro without buying or learning Photoshop, Snappa has got your back. 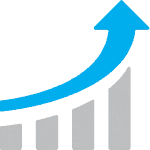 Compared to other graphics tools on the web, Snappa has given me the best experience so far. Video marketing and being on YouTube is hot. 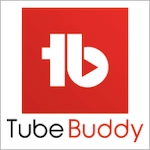 If you’re planning to be on YouTube, don’t go without using this magical plugin called TubeBuddy. It helps you do keyword research, select tags and gives you tips to rank higher and grow on YouTube. Instead of being cheap with your money, be cheap with your time. Be smart about how you work by managing your energy and delegating the stuff that is below your hourly rate. Freelancers at Fiverr can help you with many tasks for low cost. Get notified by entering your email below and sign up to the newsletter.